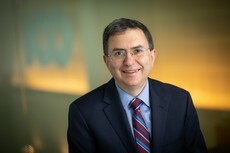 Dr. Sharfstein oversees the Office of Public Health Practice and Training and is director of the Bloomberg American Health Initiative. He also holds a faculty appointment in the Department of Health Policy and Management. Previously, he served as the Secretary of the Maryland Department of Health and Mental Hygiene, the Principal Deputy Commissioner of the U.S. Food and Drug Administration, as Commissioner of Health for Baltimore City, and as health policy advisor for Congressman Henry A. Waxman. I have written on a wide range of public health topics. Here are a few examples. Sharfstein JM, Gerovich S, Chin D. Global Budgets for Safety-Net Hospitals. Journal of the American Medical Association. 2017 Nov 14;318(18):1759-1760. Sharfstein JM. A New Year's Wish on Opioids. JAMA. 2018 Feb 13;319(6):537-538. Olsen Y, Sharfstein J. Confronting the stigma of opioid use disorder—and its treatment. Journal of the American Medical Association 2014; 311: 1393-4. Sharfstein JM. The FDA--a misunderstood agency. Journal of the American Medical Association 2011; 306:1250-1. Sharfstein J and Sharfstein SS. Campaign contributions from the American Medical Political Action Committee to members of Congress: For or against the public health? New England Journal of Medicine.1994; 330: 32–37. Correction: 332:1450.